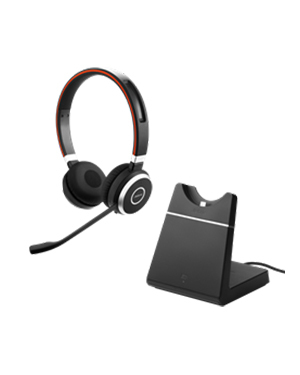 Using the part number 6599-823-499, the Jabra EVOLVE 65 UC Stereo Headset (With Charging Stand) is optimised for Unified Communication and has two ears or duo speakers. The device can be connected to user’s smartphone or PC for up to 100 ft or 30 m wireless range and can be connected to two Bluetooth devices at the same time. It also has integrated busylight for enhacing productivity. 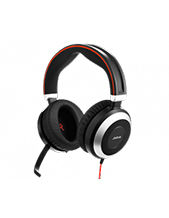 Jabra EVOLVE 65 UC Stereo Headset is integrated with passive noise cancellation. This feature can be accessed and enjoyed through its specially designed ear cushions that eliminate high frequency noises. Its integrated busy light turns red as sort of a signal to let people know that when the user does not want to be interrupted. 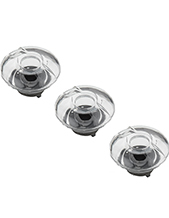 It can be turned on manually and provide users their own concentration zones. The headset can be connected wirelessly through Bluetooth and USB wired connection. 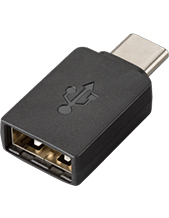 This connectivity feature allows users to c connec to the PC and one Bluetooth device simultanesouly. Jabra Corporation is an efficient hands-free communications devices and solutions developer and manufacturer that was founded in January 3, 1993. A well-known subsidiary of GN Netcom, the company can cater to varied types of hands-free needs, from professional uses including office communication foundation and contact centres to personal usage. Jabra Corporation started through the creation of the Utah Corporation called Norcom Electronics Corporation. This company was created in 1983 by Elwood “Woody” Norris and in the next year was acquired by the American Technology Corporation. ATC then sold the company to Norris Communications, Inc. in March of 1988. After that, the assets were spun off to Randy Granovetter, who created the Jabra Corporation in the year 1993 together with Brean Murray. Until today, Jabra Corporation continuously develops and manufactures excellent earphones, where the company started in the first place. In fact, the company was the first in the industry to ever tun a headset over the air, among many other things.